A blog dedicated to the proposition that understanding the past better equips us to live in the present and plan for the future. 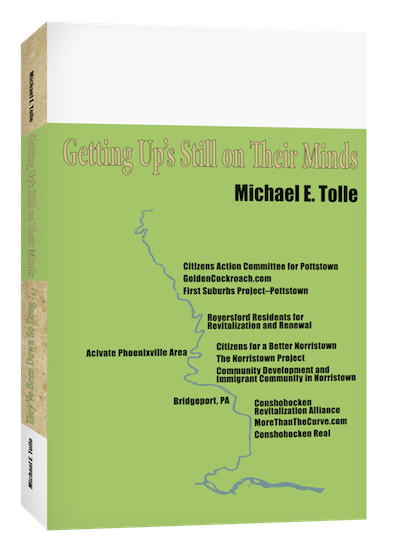 I discuss national issues--and offer a historical context--focusing on eight classic old mill towns along Pennsylvania's lower Schuylkill River. I tackle the myths that surround urban history, and attempt to offer a better understanding, because those who continue to believe in myths will continue to make mistakes. "The truth will set you free. But first it will piss you off." A recurrent theme in my writing is that things change, and change is the only constant in history. Yet the works of man, from our institutions and governmental structures to our roads tend to remain, long after the conditions that gave birth to them have changed, often fundamentally. This time I am going to talk about roads; specifically DeKalb Street, in Norristown, Pa. That’s because Norristown is on the cusp of a renewal, and there are some old things remaining that should change in order to help that revival. The layout of DeKalb Street is one of them. It’s in the works, actually, but it has been “in the works” for some time now, and deserves more attention. An April Times Herald article discussed the long-pending plan to make DeKalb Street two-way, and found a consensus among those it spoke to. This fact alone makes it both unusual and newsworthy (this is Norristown, after all), but that should not obscure the subject itself. Everyone agreed that making DeKalb Street two-way would be a good thing, and they are correct. One respondent remarked that “The designers of this one-way street are dumb,” and commented on the danger the street presented. He is quite correct about the danger, and there are several more reasons that DeKalb Street should be two-way, but the designers of the street were not dumb. They were competent men attempting to solve a problem that existed a long time ago. But that was then; this is now, and things have changed. They have, in fact, changed fundamentally. But comprehending just how total that change has been is going to require some imagination from those of you of young to moderate years, particularly if you live in the general area. First, I should point out that DeKalb Street had been a two-way street at its initial layout, and second, its intersection with Main Street marked the core of downtown since the opening of the DeKalb Street Bridge. Here is where imagination comes in, because you need to picture the sidewalks at this intersection—in all four directions—bustling with customers on their way to an array of stores open and lit, beckoning them within. One of my all-time favorite interviewees, the late Mary Early, quoted her mother as often saying to her, “I’d love to live at Main and DeKalb; everything happens at Main and DeKalb.” She was referring to the Depression times, by the way, so you can imagine what it was like after the end of the Second World War and rationing, for people anxious to forget the previous decade or so. Downtown Main Street began to enjoy good times once again. 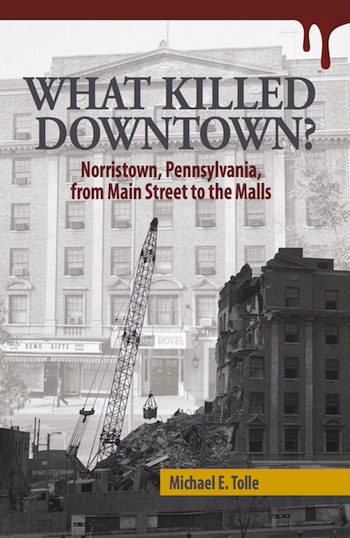 But the period after the end of the war brought some things to Norristown that quickly began to be a major problem. They weren’t new by any means, but now they came in overwhelming numbers. “They” were automobiles and trucks. Not too many compared to today, but far more than downtown, and Main and DeKalb in particular, could handle. Both streets had been laid out long before the advent of automobiles, and there was simply no room for expansion. Here’s where the second piece of imagination comes in, exactly the opposite of the first. I first asked you to picture something that isn’t here—a crowded, prosperous downtown—now I need you to erase your mental image of what is there: all those big highways. 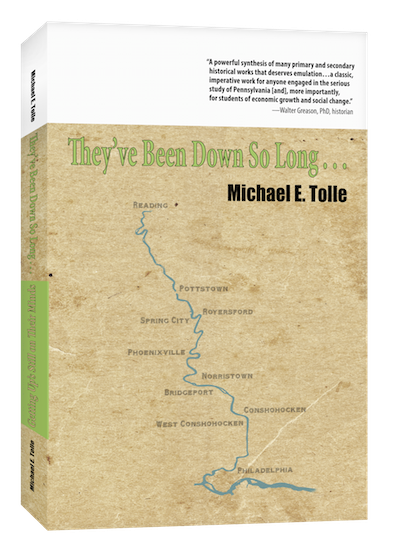 The Pennsylvania Turnpike was on its way, and would arrive in the bucolic farmland of King of Prussia in late 1950, but none of the others existed. The Schuylkill Expressway was on its way to meet the Turnpike, but none of the Interstate highways existed, because the program had not been created yet. The area’s two major roads were U.S. “Shield” highways, Route 422 and Route 202, and they were the problem. That’s because in Norristown, Route 422 was Main Street and Route 202 was DeKalb Street. That made the core of downtown Norristown a major crossroads, and not just a regional one, but also a national one. Route 422 had always been a largely local route into and out of Philadelphia, but Route 202 was different. It was the only parallel competition for Route 1 between New York City and points south, and the only feasible route for those living west of the coastline and Philadelphia. The idea of vacationers bound for Florida—or NYC—passing through downtown Norristown may be hard to envision, but I told you this required some imagination. Thus, by the late 1940s, the local residents, eager to resume their traditional shopping in downtown Norristown, found themselves delayed, if not blocked outright, by cars and trucks on DeKalb Street, which were only passing through, often to major distances a long way away. Norristown had a traffic congestion problem even before the Turnpike arrived, and given that King of Prussia was to be the termination of this major highway, all its traffic had to go somewhere. Norristown feared that much of it would head north for New York along Route 202, and thus right through the Borough on DeKalb Street. Unfortunately, in trying to deal with this problem, Norristown was caught in a bureaucratic net. The Borough did not have final authority over either of its two main streets. Although technically national highways, both routes were actually the responsibility of the Commonwealth, for both funding and implementation. Main Street figured in these calculations also, but I will confine the narrative to DeKalb Street. Main Street also become one-way (at a different date), but reverted several years later. Borough Council did its best to placate the Commonwealth, and attempted to expedite traffic by keeping DeKalb Street two-way, but banning street parking along its downtown stretch. Council rescinded the effort in December, 1948, except for the period between 3 and 6 PM, when the meters would be bagged. The no parking experiment had brought about no improvement in traffic flow, and local businesses were unanimous in opposing the loss of parking spots. The Commonwealth was not going to be gainsaid. In October, 1951, Borough Council, reluctantly but unanimously, voted on a traffic plan for both north/south and east/west traffic through Norristown. DeKalb and would be one way northbound between Lafayette and Johnson Highway, while Markley Street would be one-way southbound along the same stretch. After several legal requirements were met, DeKalb and Markley Streets became one-way on November 17, 1952. Giving priority to passers-through on DeKalb Street over the town’s residents didn’t kill downtown, but it didn’t help, either. Still, as I said above, things have changed. To keep DeKalb Street one-way would be dumb. Pedestrian safety is a major consideration, but there are broader ones. There are more nuanced and erudite ways of expressing this, but here’s a simple one: if you are trying to revive your downtown, you shouldn’t have one of your two major roads only take you away from downtown for 90 percent of its distance. New attractions are beginning to appear in Norristown, and all roads should lead there, DeKalb Street most definitely among them. This issue deserves more attention than it is getting. The April Times Herald article that recorded the consensus of opinion also noted that the process had begun earlier, but echoed the old refrain that "Two public meetings in 2010 were sparsely attended by residents..." Making DeKalb Street two-way again is a necessary part of the plan for reviving Norristown. As this may be the only Norristown subject about which there is unanimity of opinion, the public should be pushing this.